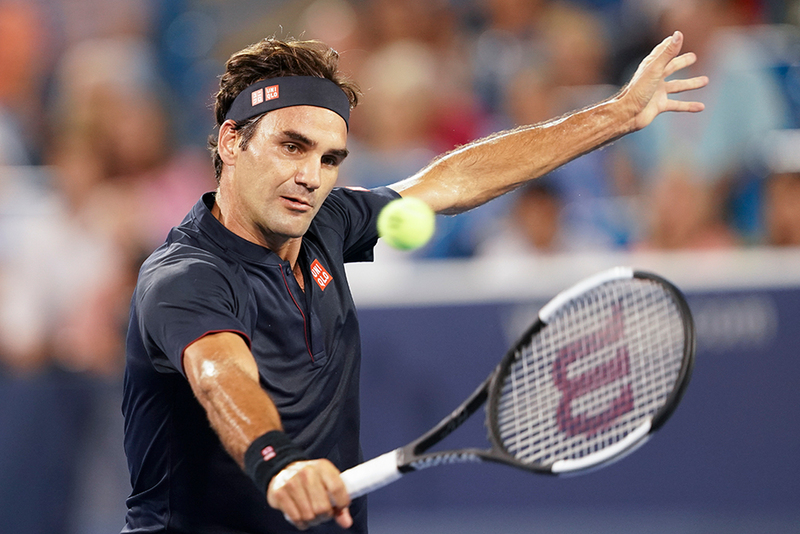 Cincinnati: Roger Federer continued his mastery over Stan Wawrinka, but not before getting a fright en route to a 6-7(2), 7-6(6), 6-2 quarter-final victory at the Cincinnati Masters on Friday. It was a busy day for 10th seeded Djokovic, who came from behind to oust defending champion Grigor Dimitrov of Bulgaria 2-6 6-3 6-4 in the conclusion of a third-round match carried over from Thursday. “And to go back on the court again against Raonic, who was serving 140-plus miles (per hour) from the first game, that got me going, for sure, from the beginning.” Former champion Cilic made his way to the semi-finals with a 7-6(5) 3-6 6-4 third-round win over Russia’s Karen Khachanov before toppling Spaniard Pablo Carreno Busta 7-6(7) 6-4. World number one Simona Halep pulled double duty at the weather-hit Cincinnati event on Friday, beating Ashleigh Barty then Lesia Tsurenko to claim a place in the semi-finals. “After I won Montreal, I said that I want to come here to win some more matches, because after winning a title is always the feeling that ‘let’s do more.’” Her semi-final opponent Sabalenka had staved off match points in her two previous matches and managed to do it again on Friday, using her big serve to wriggle out of trouble against 13th seeded Keys. “I really need to play more aggressive. That’s how I made those important points.” Bertens trailed 4-1 in the opening set against Ukrainian fifth seed Elina Svitolina but it was one-way traffic once the Dutch player’s serve clicked into gear and she closed out the match 6-4 6-3.